Imagine having your whole home refurbished, with an indoor pool, hi-tech heating and the best interior design. Well, the Aldabran giant tortoises at Paignton Zoo had all this done – and they love it. The six – females Sophie, Miley, Dora and Cleo and males Timmy and Elvis – are all thought to be in their early 30s and of breeding age. They came to Paignton Zoo as youngsters after arriving in the UK in an illegal consignment seized by customs officials. The Aldabran giant tortoise (Geochelone gigantean) is native to the Seychelles and has a varied habitat – the Zoo has chosen to focus the theming on rocky terrain in order to show how this species can adapt and survive in such harsh conditions. Luke: “Half the building is now a dedicated breeding area for our females – it gives them the chance to move away from the males and provides deep sand and soil where they could lay eggs in peace. There’s also a back room where we can weigh the animals and do x-rays if necessary. “I would like to thank everyone who has been involved in this project; the build would not have been possible without the help of the entire Lower Vertebrates and Invertebrates Department, the Paignton Zoo maintenance and gardens teams, our Director of Living Collections Stewart Muir and our contractors. Frances Baines, who is a retired vet and reptile keeper and who is well-known in herpetological circles as a UV heating expert, advised on the work. “The whole project was done on around £7,000, which isn’t much at all for this kind of work! Most of it went on the heating system. 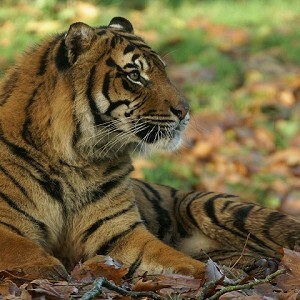 I hope these changes will make Paignton Zoo the European leader in the management of this species.” Paignton Zoo Environmental Park is a registered charity. For more information go to www.paigntonzoo.org.uk or ring 01803 697500. A vast collection of animals await visitors at Paignton Zoo including the rare Cuban crocodile, black rhino, sumatran tiger and giant tortoise.